Emily Andersen is a London-based artist, and senior lecturer in Photography at Nottingham Trent University. Her work has been exhibited and published both nationally and internationally for over 25 years. We’re delighted to host Andersen’s latest solo exhibition and accompanying book launch of Portraits: Black & White published by Anomie Publishing in October 2018. 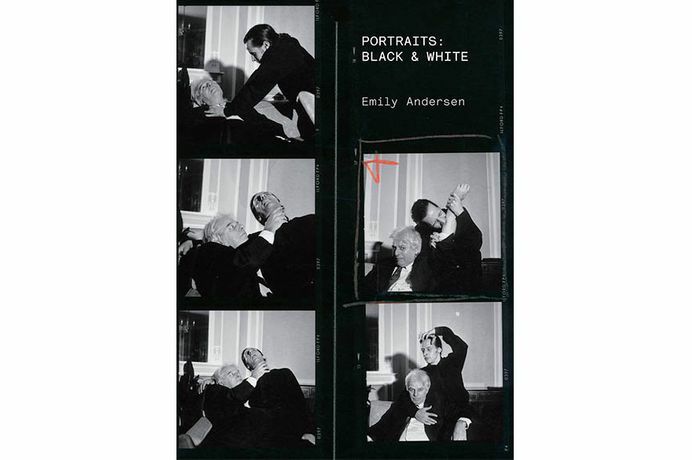 Andersen has built up a remarkable portfolio of photographic work including many high-profile artists, musicians, writers, poets, film directors, actors and architects, with Peter Blake, Derek Jarman, Zaha Hadid, Arthur Miller, Helen Mirren, Michael Nyman and Eduardo Paolozzi among those featured in this publication of black-and-white portraits. The book features an essay by contemporary art critic Jonathan P. Watts, exploring the lives of some of Andersen’s many sitters, and discusses her practice within the wider critical debates of photography since the late 1980s. Emily Andersen graduate of the Royal College of Art in 1983. Her work has been exhibited in galleries including The Photographers’ Gallery, London; The Institute of Contemporary Art, London; The Canadian Museum of Contemporary Photography, National Gallery of Canada, Ottawa; The Scottish National Portrait Gallery, Edinburgh; The Barber Institute of Fine Arts, University of Birmingham; Massachusetts Museum of Contemporary Art; Jehangir Art Gallery, Mumbai; and China Arts Museum, Shanghai. Her portraits are in the permanent collection of The National Portrait Gallery, London, and in other public collections including The British Library, London, and The Contemporary Art Society, London. She has won awards including the John Kobal prize for portraiture.